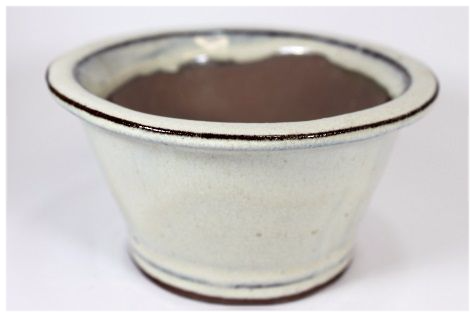 This bonsai pot has a round shape and a small lip. 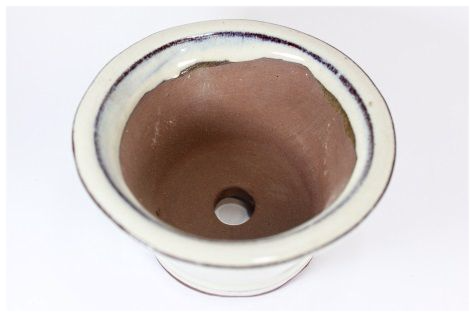 The pot has a cream glazed finish and one drainage hole. This pot is also suitable for Accent planting because of it's small size, shape and style. You will earn 2 points which is the equivalent of €0.20 when ordering this product.